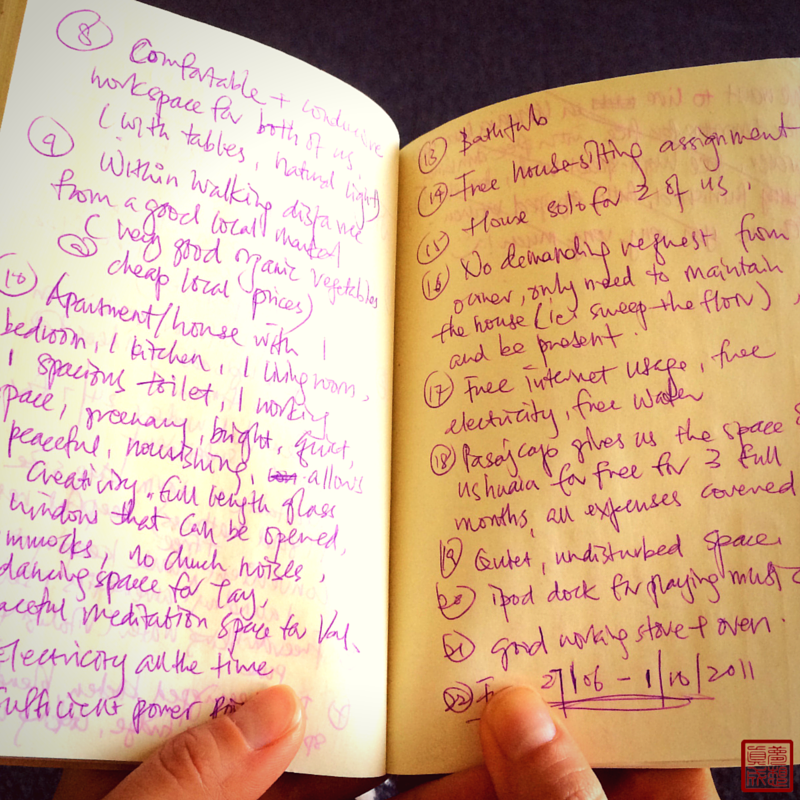 This post is part two of a three-part series on Creating from Spirit – our journey from Serendipity to Synchronicity to Story. And as we shared stories of magic on our journey, people would line up after our presentations to ask us, “Can you teach me? How did you do what you did? Why are you ladies so…lucky?” We thought we’d share our own awareness-awakening – how we literally, and figuratively – journeyed from getting lucky, to being lucky, to creating our own luck. We’re sure you’ve experienced synchronicity – that one special moment where you and your desires become fully aligned with the forces of the Universe. On our RTW journey, we’ve learnt to interpret moments of synchronicity as “winks from the Universe telling us: I’ve got your backs”. Our pre-arranged host for the night had been uncontactable the entire morning. We didn’t have a cell phone on us (yep you read that right). Every phone call led to a dead dial tone. It felt like the payphone was eating up what few coins we had left. And if this went on, we’d be stranded on the streets of Veracruz that night. This had never happened before on our journey. We were at a loss. “Hola chicas! (Hey girls! 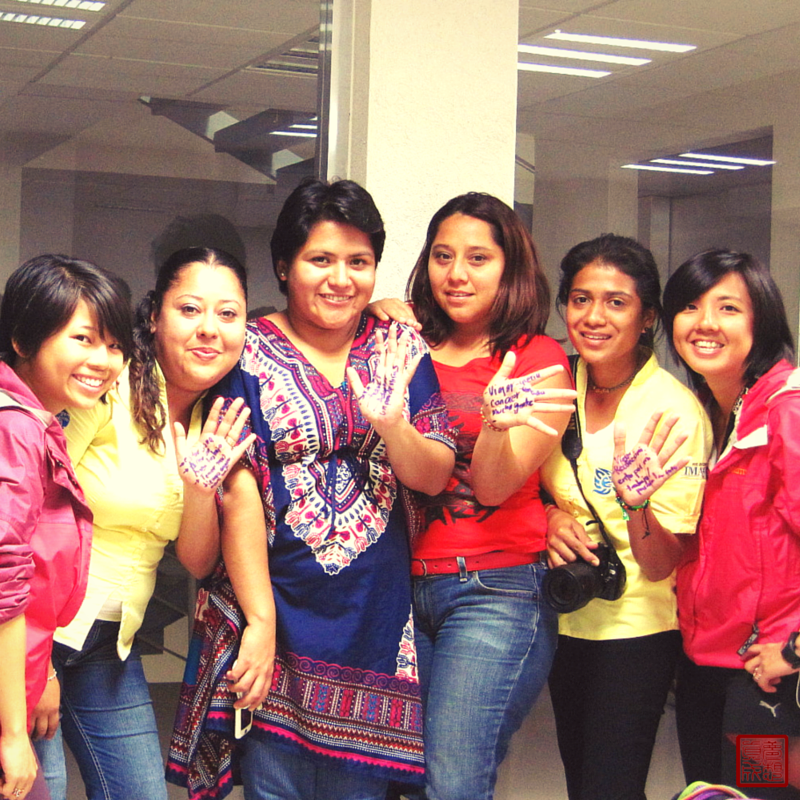 )” We turned around and saw a lady gesturing at us. We exchanged looks – did we know her? Ok this was getting freaky. We’d never met her before. Why would she know our names? It turned out that Oz was a well-known journalist for the local newspaper. In the week we stayed with her, she brought us to every publication she knew – newspaper, radio, TV, magazines. “Now other people will recognize your jackets, and you’ll always have a place to stay!” Oz exclaimed as she sent us off on our way. It was as if the Universe orchestrated all three of us to be on that street, that very afternoon. And despite the heat, we were wearing our red jackets to protect our skin from the sun. Just so that Oz recognized us from those jackets. Synchronicities like these became a natural rhythm on our journey. We needed bus fare to cross the borders from Mexico to Guatemala. A stranger showed up at our storytelling sessions and bought us those bus tickets with the last 100 pesos he had in his pocket. 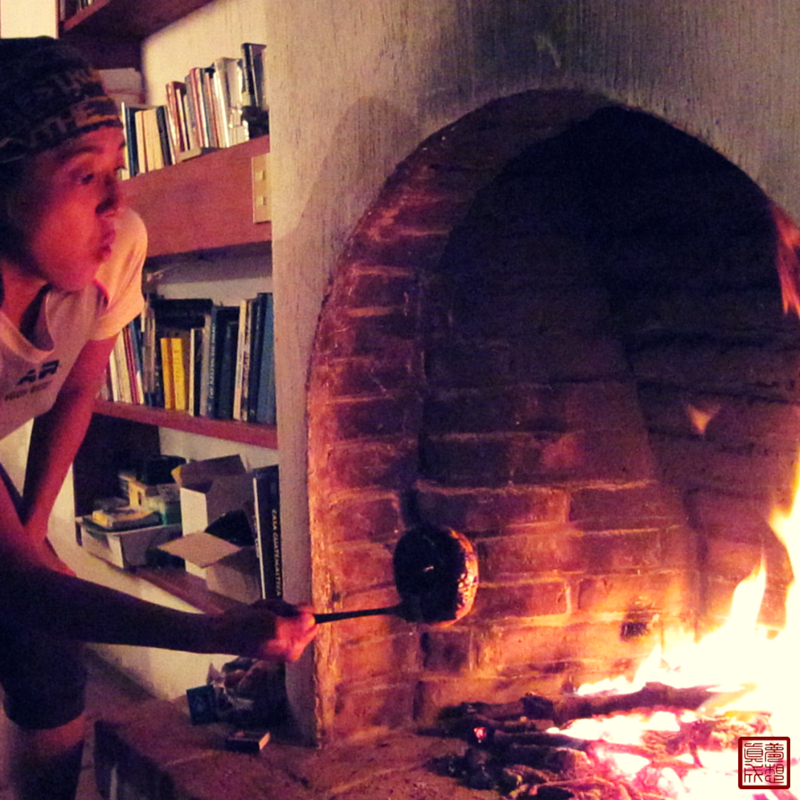 We were looking for a place to stay in a house in Guatemala for a 2 weeks to work on our backlog of videos and blog posts. But we weren’t just looking for a roof. We wanted hi-speed wi-fi, full-length windows, well-equipped kitchen, hot showers… the works. Yep, we were looking for all of these – in the middle of unknown villages in Guatemala. And we found exactly what we were looking for. The house had everything we asked for. Right down to the fireplace! 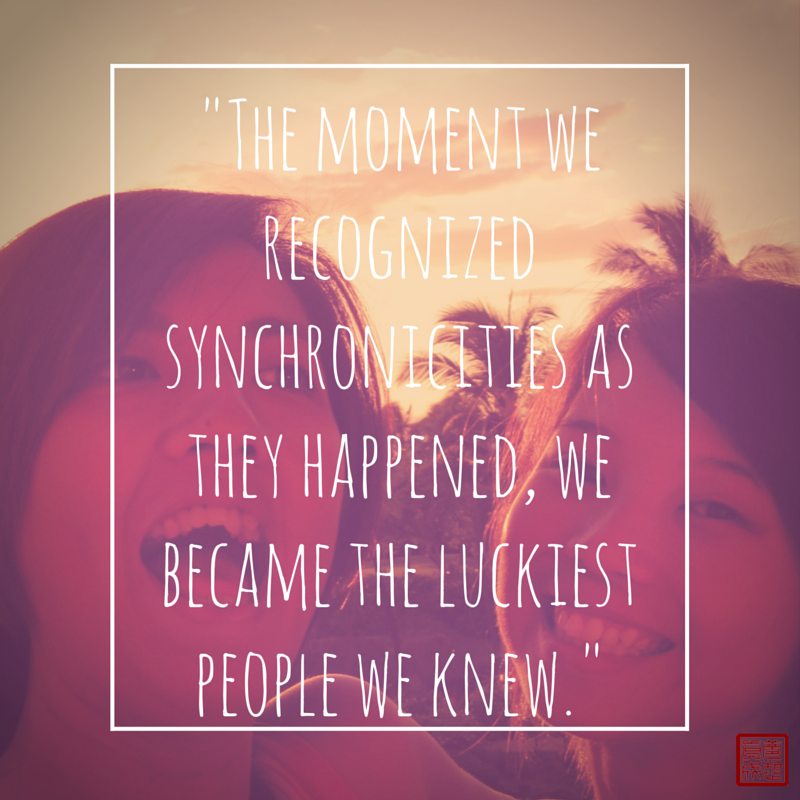 We graduated from getting lucky with serendipity, to being lucky with synchronicity. Wherever we were, whatever we were doing, however we ended up right there and then – it felt perfect. What about you? 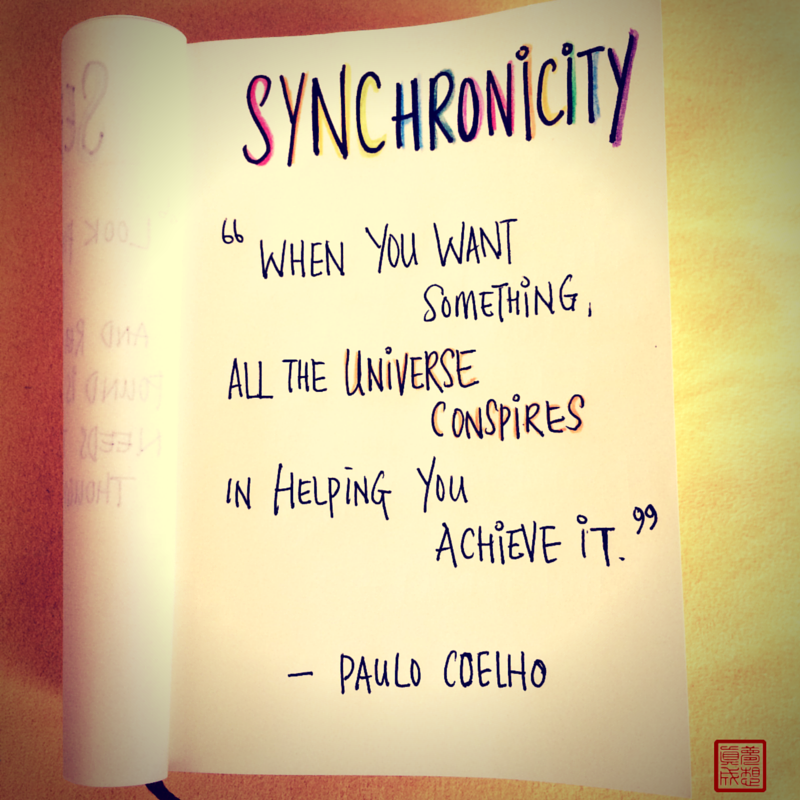 When was the last time you experienced synchronicity? The moment when you were exactly where you needed to be, doing exactly what you needed to do – the exact, perfect moment. Before we move onto the final part of the part of this series where we tie everything together, we’d love to hear from you. Tell us about your perfect moment of synchronicity in the comments below. Because the more we celebrate the synchronicity in our lives, the more synchronicities we’ll find.